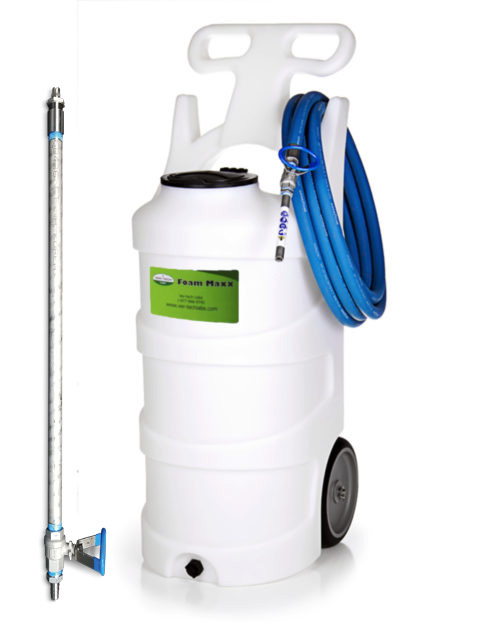 We have large vehicle cleaning equipment that will help you to clean better. At Ver-tech Labs, our goal is to help our customers clean buses, trucks and heavy equipment effectively and at the lowest possible cost. 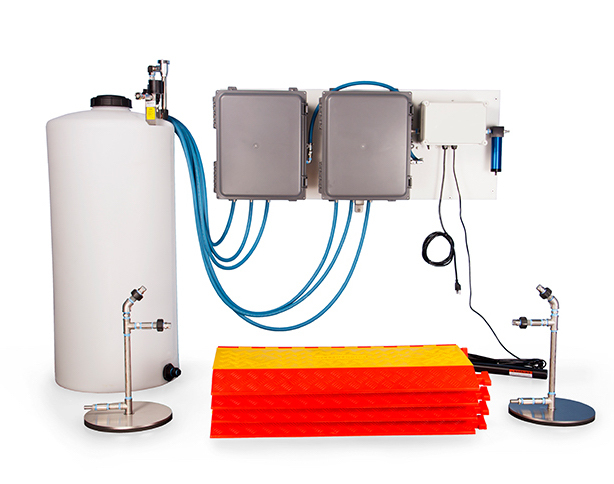 Two of the biggest impediments to cleaning touchlessly is poor application control and poor dilution control of chemical products when using injection systems on common truckwashing equipment. Ver-tech Labs Foam Maxx foamers allow our customers to clean better and faster with controlled dilution rates and proper application of detergents. 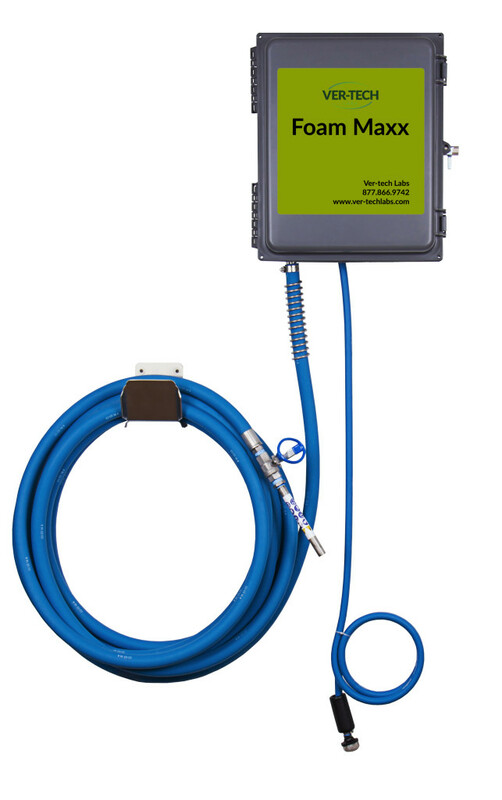 Discharge hose is 30 ft. Cleaning and protecting the undercarriage of your truck/large vehicle is more important than ever. Corrosion costs over $23 billion each year to the transportation industry with costly repairs and time off the road. Most of the corrosion related problems start on the underside of the vehicle. Vehicle undercarriages are one of the many ways pathogens, like the Avian Flu, travel between farms and contaminate livestock, resulting in over $3 billion loss to American agriculture. 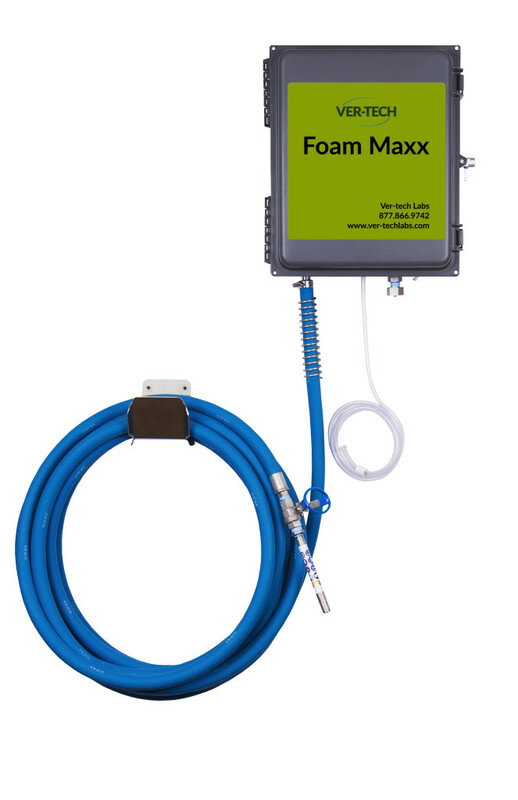 Keeping your truck or large vehicle working and meeting federal bio-security guidelines are two reasons you need the Foam Maxx Undercarriage Foamer. 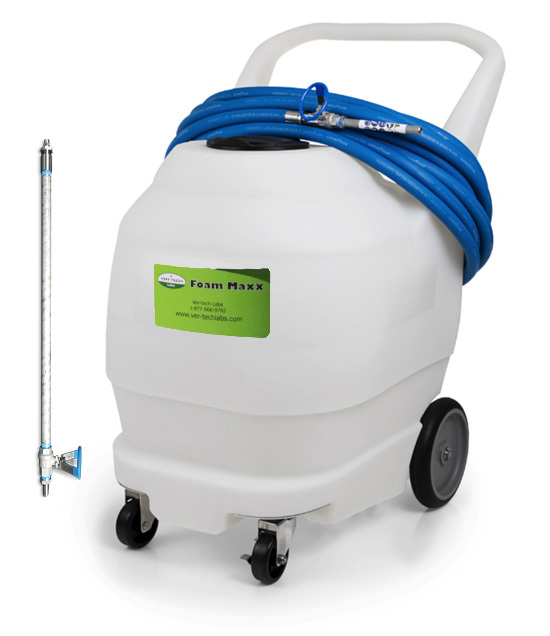 the Salt Gator is equipped with a unique chemical application feature and effectively flushes undercarriage dirt and debris. 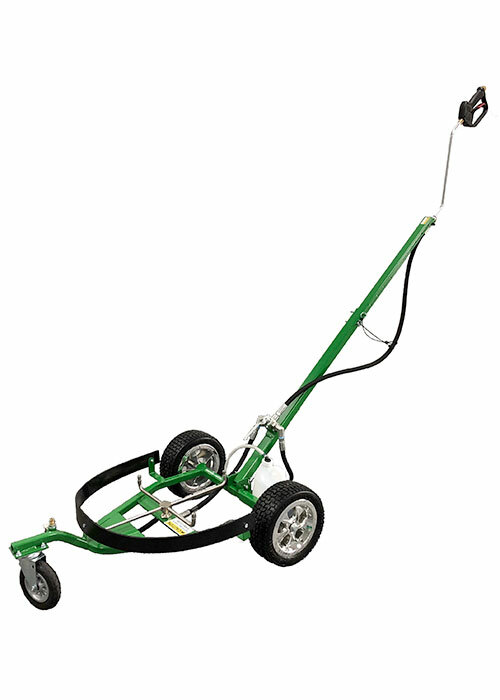 The three wheel assembly glides smoothly over rough, uneven surfaces and allows one handed operation. 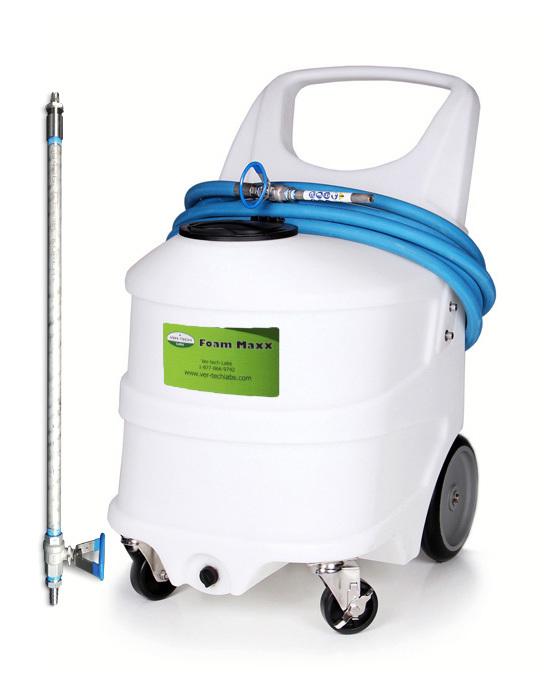 Salt Gator reduces cleaning time with a rotating stainless steel nozzle assembly that delivers a powerful 24” wide cleaning path.